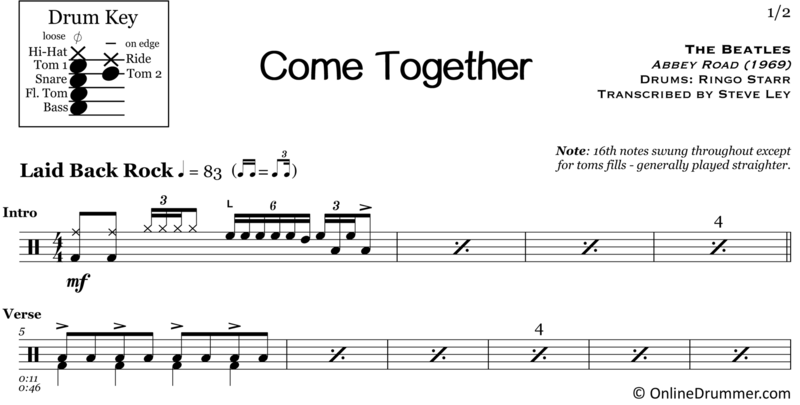 The full drum sheet music for “Come Together” by The Beatles from the album Abbey Road (1969). 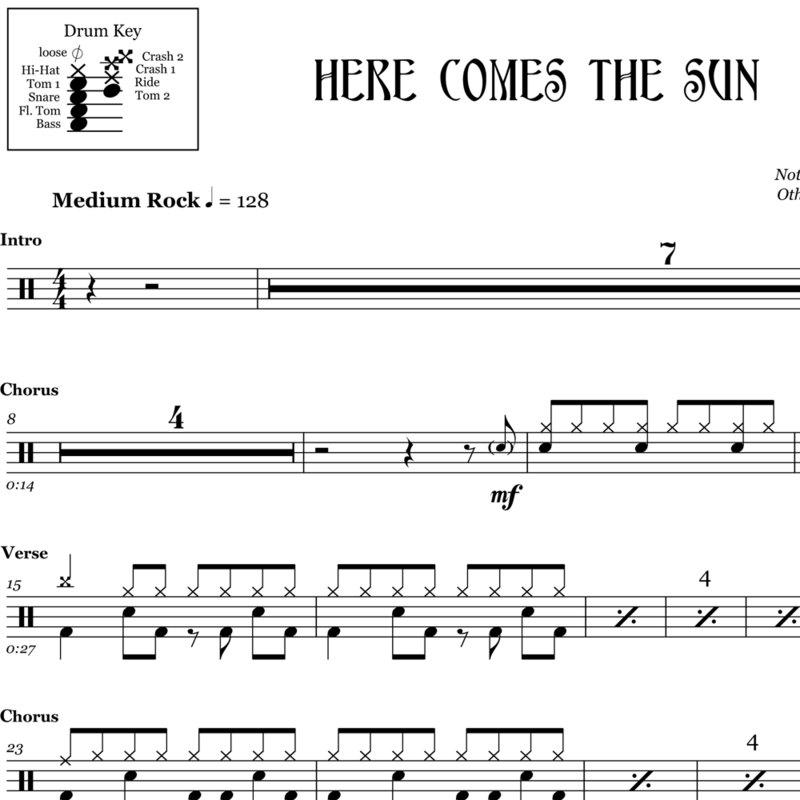 The full drum sheet music for "Here Comes The Sun" by The Beatles from the album Abbey Road (1969). 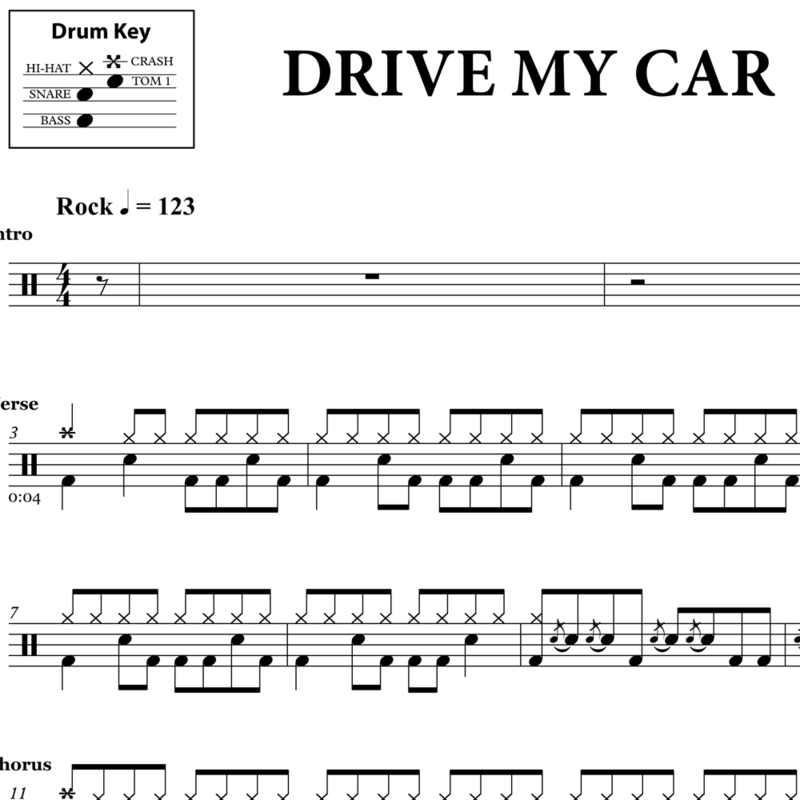 The full drum sheet music for "Drive My Car" by The Beatles from the album Rubber Soul (1965). 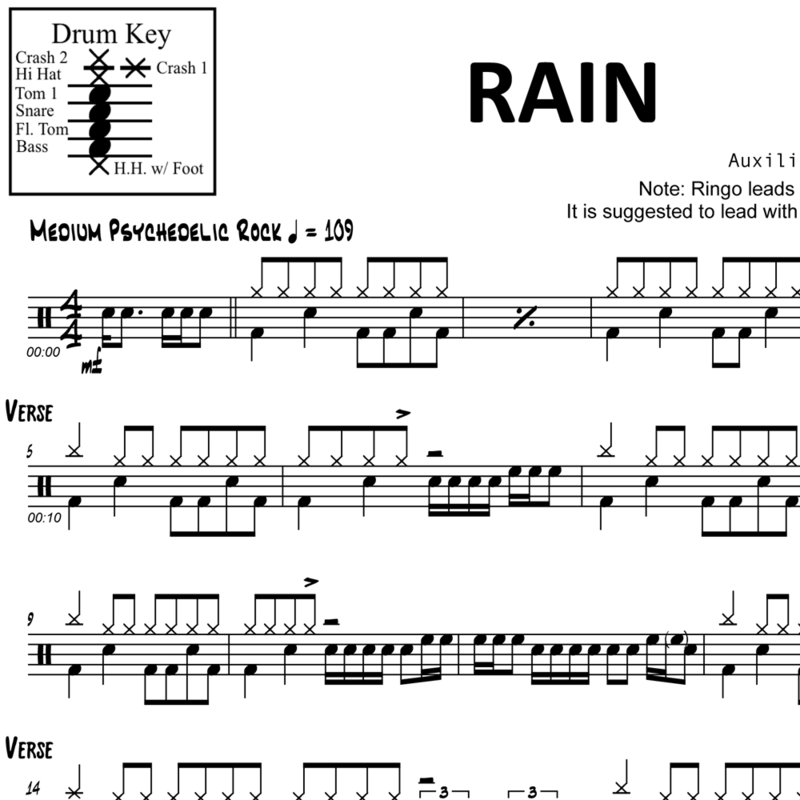 The full drum sheet music for "Rain" by The Beatles from the album Paperback Writer (1966).